As I love trying New makeup products I am also fond of skin care products. Getting best makeup remover is difficult because we all have different skin types and to find a right for your skin is a task. I like Makeup remover which are very light and does not make my skin look oily. As I have normal to combination skin I prefer water based remover than oil based. Bioderma is brand known for having best sunscreens and they have good range of skin care products too. My friend recently got me a makeup remover of this brand saying its most amazing product for even sensitive skin. So I thought of trying it out as I was already out of makeup remover. 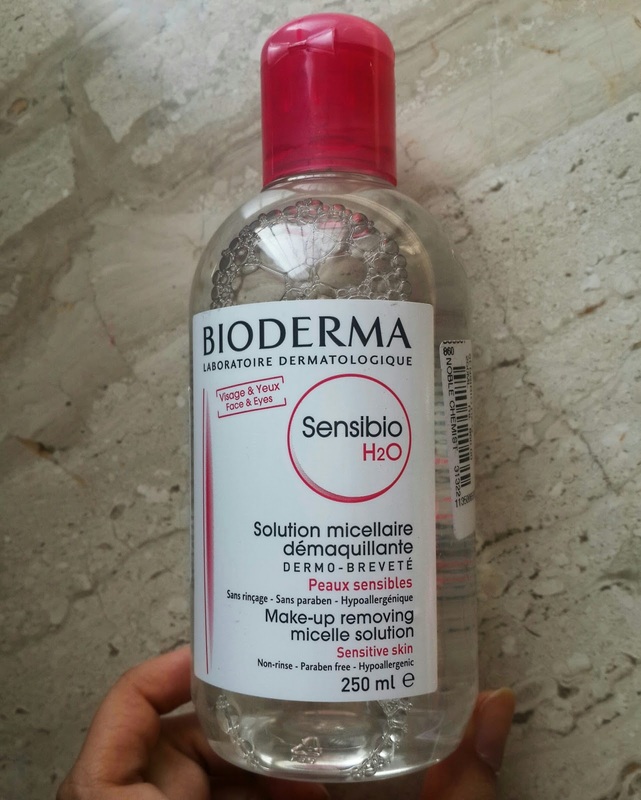 This product is known as Bioderma Sensibo H2O Micellaire Solution. Micellaire solution in simple words means molecular cluster having two components water and oil. It helps in removing makeup without tugging your skin and also helps to protect skin. It comes in plastic bottle with pink cap they come is two size. I have got the one in bigger size 250ml. If you want for travelling purpose you can for smaller size which is 100ml. This product is available almost all over world. It’s a water based solution you just have to take few drops on cotton and wipe it over your face. 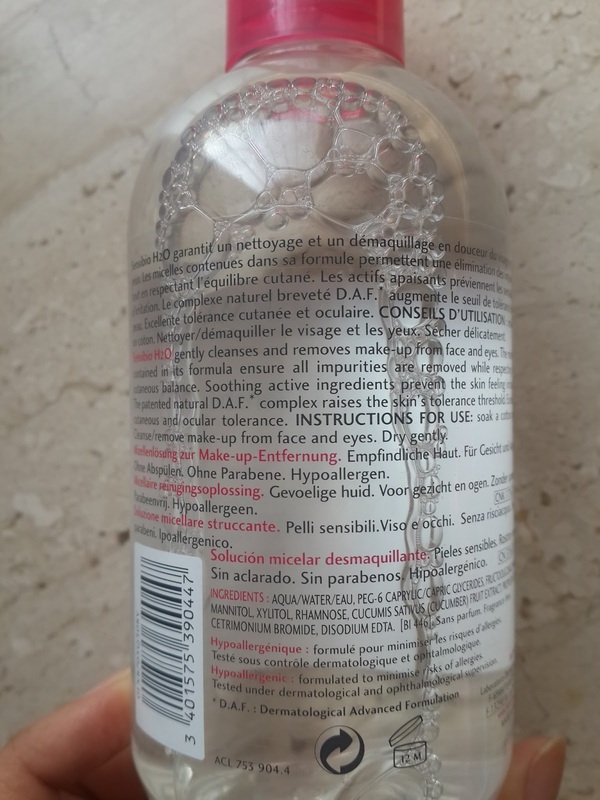 Its amazing just feels like I am applying water the formula is so gentle on skin and leaves no residue. Does not feel greasy oily and removes waterproof makeup also. Leaves your skin soft and fresh. You don’t even need to wash your face after that. Because it feels so clean and clear. Its so light in texture and has no fragrance it can be used for all skin types oily, dry, sensitive. I am so glad to get this product definitely would buy again. I am a makeup girl and most of the time i have makeup on so i need best makeup removers which helps my skin to remove all impurities at the same time protecting it. So far my skin feels good after using this. I would definitely buy again. Definitely want to try out more products from Bioderma. Well this product is worth the price as quantity also lasts quite long and one of the best product of their skin care range. I am using it every single day since I got it. Overall its great makeup remover for all skin type.